Tasmania is utopia for bushwalkers - there are walks traversing many diverse landscapes, from exposed ice-carved moors and mountains to primordial rainforests, rugged river gorges and precipitous sea cliffs, as well as some that follow in the footsteps of convict labourers. Experienced travel writer Melanie Ball has hiked every track in this book for walkers of all levels of experience. 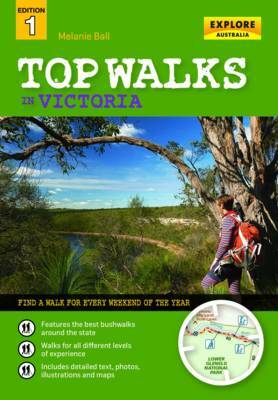 Included are some of Tasmania's most famous walks, such as the Overland Track and Frenchman's Cap, plus some hidden gems. Most of the tracks can be completed in a few hours, but there are some multi-day walks for those wanting more of a challenge. For each walk there is detailed trail information, a map and photographs. 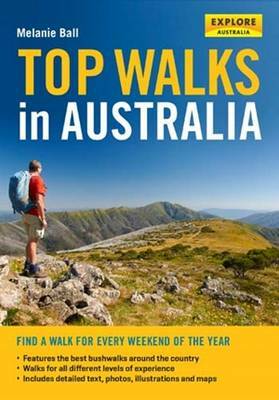 Buy Top Walks in Tasmania by Melanie Ball from Australia's Online Independent Bookstore, Boomerang Books.